Giving an accurate cost guide to what fully fitted Bifold doors cost online is very difficult due to the nature of the labour involved in the work. It could be that your project is simple & straightforward or, on the other hand, there may be structural work to do (such as creating an opening). In either case, labour costs are going to be variable and so this bifold doors prices guide is simply to give you an idea of the basic bifold doors prices for a given size & configuration of door. What affects door prices & installation costs? Of all the things that can raise or lower overall pricing, these are the 3 that we find are the most common and obvious. This will literally have a measurable impact on the price of the project. Bigger doors usually mean bigger prices. The more panels needed, the more work to install them. Thereby increasing labour cost. For very wide or high openings, you could be looking at requiring a bespoke set of doors. Do you have a “ready-made” opening for the new door, are you creating a new opening in a solid wall? Because the labour involved in preparation & making good afterwards make a difference to the final cost. You could always use one contractor to do the “prep-work” and another to supply & fit the doors. A standard door height in the UK is around 6 feet 6 inches (1.98 metes), so anything over 7 feet high (2.2 metres) may be considered “bespoke”. A 2 panel small bifold door could start from approx 8 feet (2.5 metres), with large 6 panel units getting as wide as 15 to 16 feet (4.5 metres). It may seem an obvious point, but the choice of material & design features are clearly going to have a direct impact on the final cost. For example, UPVC, Timber and Aluminium will have different price structures. you should also bear in mind that for each of these products if you want to have a coloured version then there will be an additional cost. You also have choice between the type & quality of glazing. You can have Double or Triple glazed panels, options for “low-e” or tinted glass which can be either tempered or even laminated. You will also get a price variation in door furniture.Items such as locks and handles come in different designs, degree of quality and therefore different price points. As a novice buyer of bifold doors, you could initially have only limited information available to you, so it’s possibly confusing to begin with. This is when the advice & counselling of local bifold companies, who know their products, the local area and have maybe even fitted patio doors in a property very similar to yours. 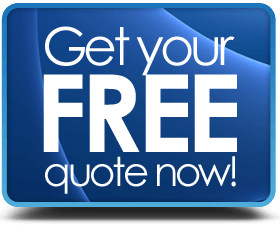 The best way to get an exact price is to get written quotes from 3 or 4 accredited professionals. check out our information cost guide below – this is for just your convenience & info only. How much do 2 panel bifold doors cost? How much do 3 panel bifold doors cost? How much do 4 panel bifold doors cost fully fitted? How much do aluminium bifold doors cost fully fitted? How long does it take to deliver bifold doors? The delivery time will depend upon the design. This is also known as the “lead-time” and some installers allow 10-15 working days. In practice you should consider 4 to 6 weeks as an average for made to order doors. How long does it take to fit bifold patio doors? If the site is ready to accept the installation, then most professional installation teams can fit a set of bi-fold doors in 1 working day. What guarantees to I get on my bi-fold door? 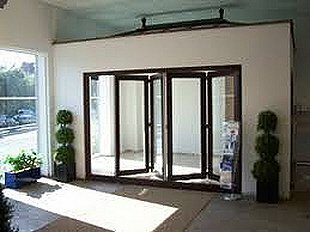 You should get 2 types of guarantee on your bi-fold door. The door itself should carry at least a 10 year warranty – the length of the warranty will vary by manufacturer. The installation work should also be warrantied – the length of the warranty will vary by installer. UPVC Bi-fold can be made in around 10 solid colours and also have wood-grain finishes. Aluminium Bi-folds that are RAL powder coated can have 100’s of colour combinations. Timber bi-fold can be bare wood, hardwood veneer or be stained / painted to any colour. Can I have built-in or integral blinds? Some suppliers will offer to fit integral blinds to the unit at manufacture stage. You should bear in mind that having built-in blinds can increase the lead time on delivery by up to 10 working days in some case. Which way will my bi-fold doors open? The units open by sliding on overhead or underfoot tracks. You can also have one or other door panel fitted as a “traffic door”. This panel can be separately hinged to open as a normal door allowing you to go in & out without opening the whole set. Can I have my bi-folds without a raised threshold? Yes you can have low threshold bifold patio doors. Low or rebated thresholds are very popular options. However, take care to ensure the low level threshold being used has been fully tested and is properly weather proof – the last thing you want is water & wind coming into your home form under the doors. 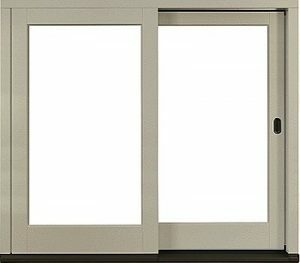 What is the difference between bottom & top hung bifold doors? Bottom hung doors run on an underfoot track that support the weight of the door and the overhead track is just a guide. Top Hung doors take the majority of the door weight on the overhead track. Therefore it is important that you ensure beforehand that the overhead structure that the track is fixed to can take the weight of the doors.